The television ad for The Witcher 3: Wild Hunt is out, and while it's very brief, it also very handily nails the Witcher mystique, and why the series is so attractive to me and a great many other RPG fans. "This world doesn't need a hero," the grizzled Geralt growls. "It needs a professional." And then, POW! He murders a gryphon. I'm willing to bet he introduced himself to the distressed damsel afterward, too. That's a professional, and a hero. 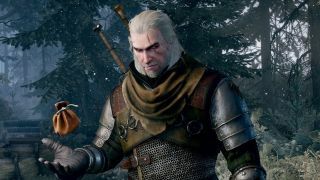 The Witcher 3: Wild Hunt is out on May 19.